"For more than forty years, a mere percentage point separated Le Mesnil from Grand Cru status, and it wasn't until 1985 that the promotion came, even though many saw the village as the best of them all. Those grapes which grow in a belt at a height of 160-220 meters provide the most elegant champagnes the world has tasted. The cru has a very Special Chardonnay clone which gives a penetrating bouquet even when the actual content in a cuvée is small. Mesnil's wines are often shy and acidic when young only to explode in a burst of colour and sensational pleasures. The always smiling and tremendously skillful François Péters controls 17.5 hectares, twelve of which lie in the very best parts of Le Mesnil. For several years grapes from the [80-year] old vines in Les Chétillons were included in the vintage wine, but nowadays they make a Cuvée Spéciale from grapes from this unique location. . . . The enthusiasm over this wine all over the world is huge--and that's before anyone has had a chance to taste a mature bottle. Mesnil's wines take a long time to mature, but champagne from Peters offers from the start an accessible fruitiness that resembles tangerine and a large portion of butterscotch and nut aromas. With age they become majestic and deep as a water well, full of coffee and walnut aromas and a fleeting vibrant exotic fruitiness. Pierre Péters is a hidden treasure of Champagne . . . and the prices are laughable considering the quality of the wines." "These are sleek, racy champagnes, expressing a classic character of Côte des Blancs chardonnay. They are marked by their fine acidity and prominent minerality, yet while they are always brisk and chalky, they are rarely austere, with the possible exception of certain vintages of the Cuvée Spéciale. All of the wines go through malolactic, due to their naturally high acidities. 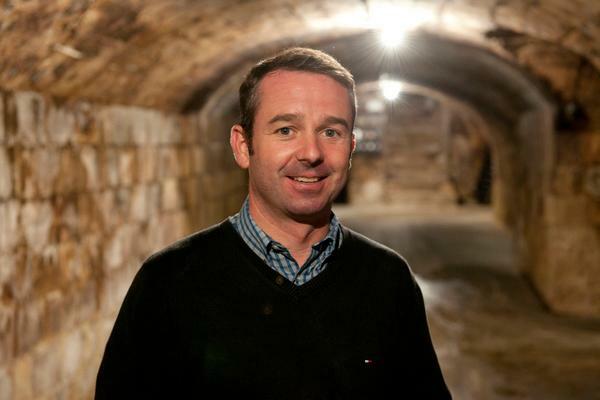 "We have a lot of acidity and a lot of minerality in all our wines," says Rodolphe Péters. "We want to build the structure of our wines around both acidity and minerality, not acidity alone."